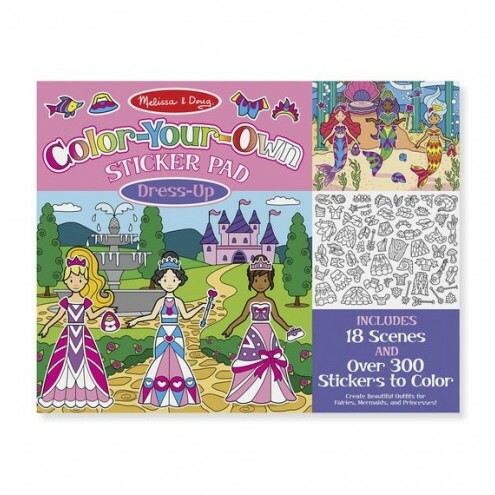 Create beautiful outfits for fairies, mermaids, and princesses, and bring to life indoor, outdoor, and underwater scenes with this sticker and coloring activity pad! 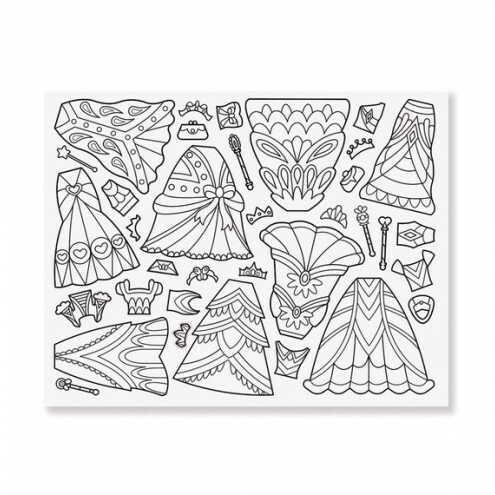 Choose one of six vibrantly colored scenes (each scene is repeated three times), select a sheet of matching clothing and accessories stickers, then color them to make them uniquely your own. Position the stickers to dress the characters and create custom pictures!